The holidays are a time to spend with loved ones eating, drinking and being merry. Exchanging presents and watching old Christmas classics like Rudolph the Red Nosed Reindeer and Silent Night, Deadly Night. If, like me, you are tired of the same old holiday songs, the ones that you despise by the second week of December, keep reading. I have put together a list to give your Christmas time that ghastly edge. Just because it’s Christmas doesn’t mean the horror has to stop. Below are 8 songs to ghoul up the holiday season. 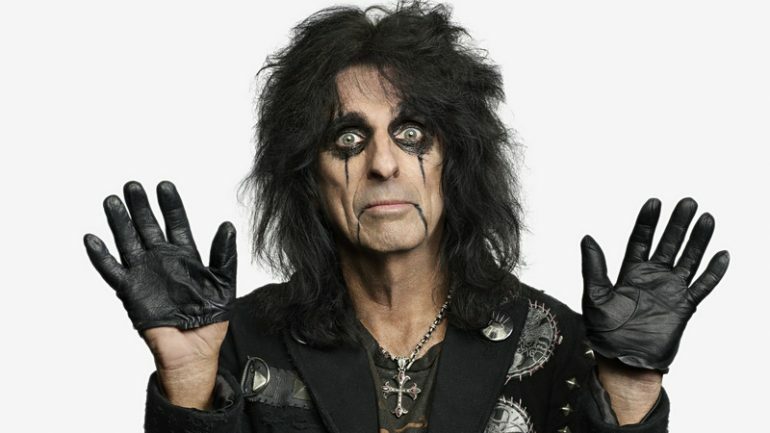 The godfather and ringmaster of shock rock Alice Cooper, brings us this holiday horror delight. While not straying too far from the original in terms of lyrics, Cooper paints the picture of a sinister figure who knows when you’re awake and he definitely knows when you’re sleeping! Wednesday 13 proves that Halloween doesn’t come just once a year. It’s here every single day, including Christmas. This toe tapping original is sure to spice up that boring Christmas party with the in-laws. Make sure to watch their faces when Wednesday 13 sneers lyrics such as Seasons beatings and a jolly farewell. My personal favorite line of this song, is when Wednesday pleads with Santa for a custom casket with black velvet interior. Fiend Club unite! 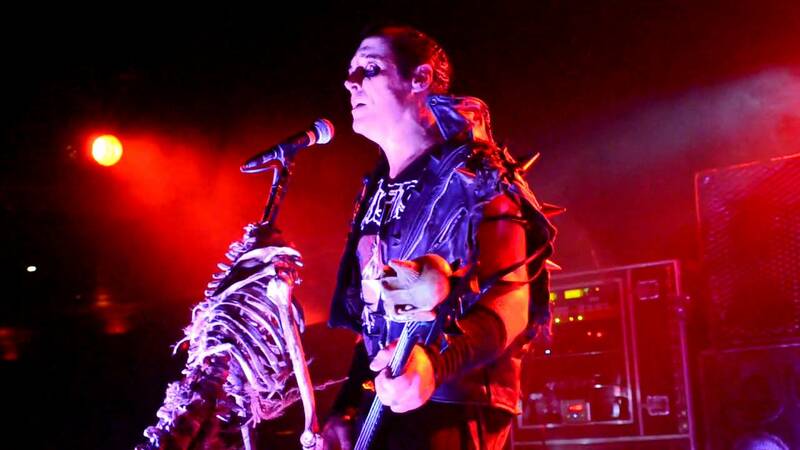 No list of horror themed music can be complete without The Misfits. Since the ’70s they have been belting out fast, aggressive and violent music covering topics such as murder, skulls and monsters. But they also do a fantastic punk cover of the seminal Grinch theme song. In reality I don’t know of too many bands who could pull it off as well as they did. I stumbled upon this song and immediately fell in love with it. It’s fast, violent and catchy. With lyrics like ‘Silent night, deadly night, everyone’s all bloody red tonight! Shut all the doors, better lock ‘em up twice, dash up the stairs before losing your life,’ this one should be on repeat throughout the month of December. 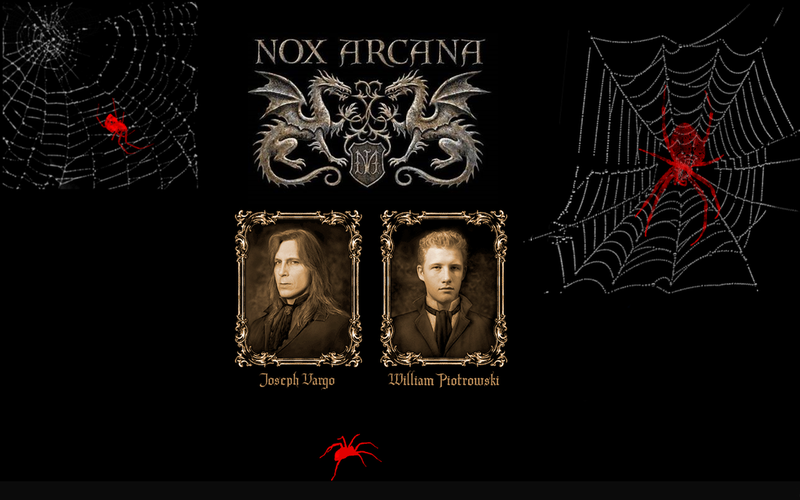 Nox Arcana, hailing from Cleveland, Ohio are a pair of composers who specialize in dark and gothic original compositions. The groups name translates from Latin to Mysteries of the Night. This version of the Christmas classic is dark and moody. Haunting bells and ghastly choirs accompany this masterpiece placing listeners outside their comfort zone. For me, I picture the specter of Death aimlessly looking for souls on this holiest of nights. Horrorcore is the crazy uncle of the Hip Hop genre. Comprising of lyrics that celebrate serial killers, murder and everything wicked, horrorcore has quite a large fanbase and an ever-expanding catalog of artists. Alla Xul Elu is fronted by 3 members who wear Leatherface style masks and spit the most horrible, violent, and maniacal lyrics. And they’re great at it. ‘Ruined Xmas’ takes you on a Christmas journey as a maniac slices and dices his way through the holiday. I certainly would not recommend listening to this with those who are easily offended. Actually, go ahead, you don’t need that kind of negativity in your life. Now that you’re armed with this list, go out and make Christmas the most horrifying time of the year. More importantly, Never settle for the same old boring and tired songs. This holiday season, while getting drunk and watching The Grinch, slap any of these tracks on and enjoy. I can guarantee nobody will ever choose you to pick the Christmas music again at social gatherings. Seasons beatings everyone.